27.09.08: I’ve not completely given up on the old ‘Egg’ just yet. I have cut to prop down to 1.6m in an attempt to get the engine upto max power. I would rather have 35kg thrust at max rpm than 28kg with a struggling engine and the necessity to use nitrous. We just need a good day and a slope launch to try it out. It may be necessary to cut the prop down even further but I won’t go below 1.4m. 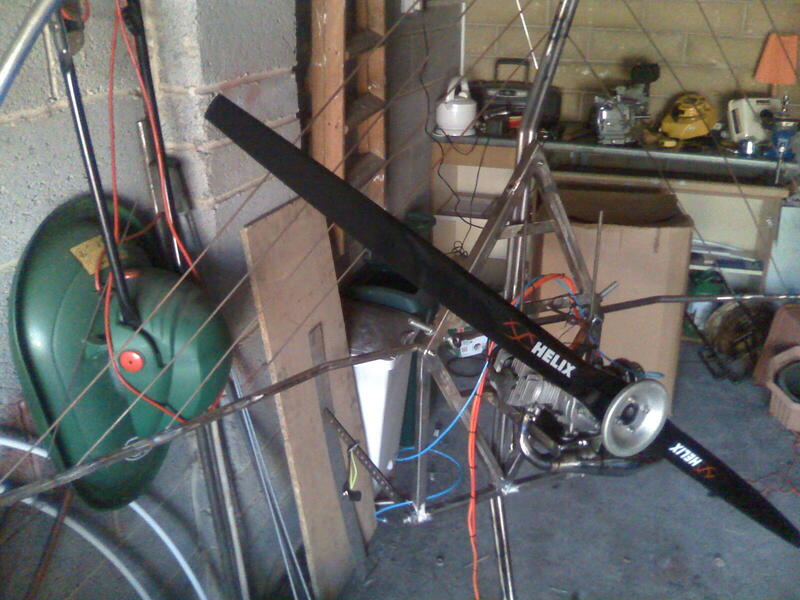 If it’s still not giving the 35+kg thrust then I’ll bung it on ebay. This entry was posted on September 27, 2008 at 2:55 pm and is filed under EggDev with tags eggmotor, paraglider, paragliding, paramotor, paramotoring, ppg. You can follow any responses to this entry through the RSS 2.0 feed. You can leave a response, or trackback from your own site.